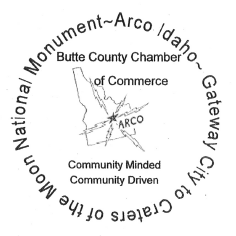 The Butte County Chamber of Commerce will hold their regular August business meeting on Wednesday, August 13th at La Costa Taquería. The meeting will begin at 8:00 AM. La Costa offers several breakfast options, however, you will need to bring your own coffee if you want some! The program for the meeting will be presented by Candace Larsen, Executive Director of Lost Rivers Economic Development. She will be discussing the upcoming Community Review, to be conducted in cooperation with Idaho Rural Partnership. The on sight visit will take place in mid-September. The review will include a community survey, two community meetings, focus groups and listening sessions that will be attend by economic development professionals from around Idaho. They will report at the last public meeting their recommendations, as a starting point for forming project or action teams. Remember the Butte County Fair will be getting underway this week, with Team Penning Tuesday Evening, Team Branding Wednesday Evening, Kideo Thursday Evening, Team Roping on Friday evening and culminating in the Market Animal Sale Saturday afternoon. The 4-H Council will also have their pit barbecue meal on Friday evening, which is the primary program fund raiser for 4-H. Remember to enter open class exhibits on Tuesday 5-7PM and Wednesday 8:30 to 1 PM—entries will not be accepted after 1 pm for any reason. Amy Taylor, senator Risch’s office, Ethan Huffman, Simpson’s office, Kathryn Hitch, Crapo’s office.